Hexanoyl-DL-carnitine chloride is a fatty acylcarnitine with a hexanoyl group, biologically active in intermediate lipid metabolism in cells. It’s employed as a detergent, surfactant and reagent. Studies conducted with acylcarnitines and dietary l-carnitine amino acid derivatives have shown that mutated coding for carnitine-acylcarnitine translocase causes inborn lipid metabolism disorders. Analyzing acylcarnitine production can explain the poor absorption of l-cartinine, and this can be quantified by HPLC. 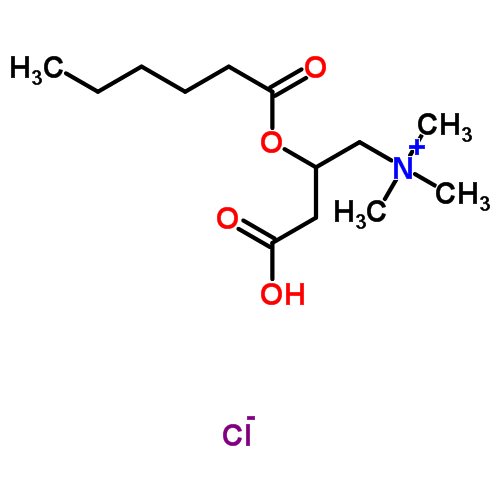 HPLC also provides a profile of the alcylcarnitine chains present.